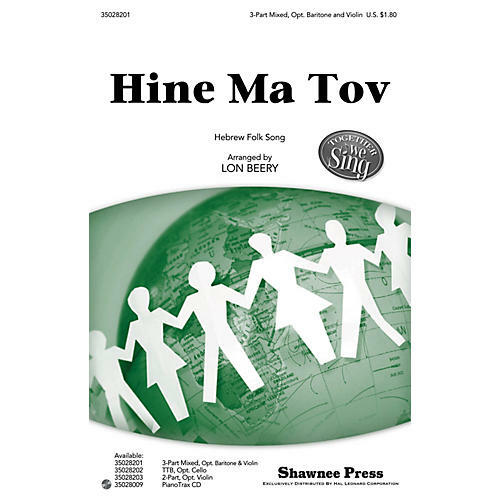 Two popular Jewish folk songs are joined together in this creative medley. The poignant text speaks of dwelling together in unity and harmony. A cello part is provided for the TTB voicing while a violin part has been included for the 3-part mixed and 2-part settings. Available: 3-Part Mixed; 2-Part; TTB; PianoTrax CD.